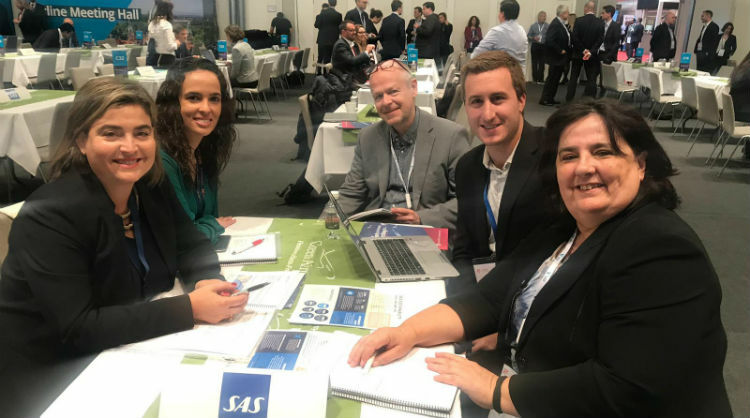 From 8th to 10th April, Promotur Turismo de Canarias took part in the Routes Europe forum, a meeting which confirmed that the islands continue to be a top holiday destination for airline companies, as proven by the confirmation of three new routes for the 2019-2020 winter season. These are between Fuerteventura and Bolonia, operated by Ryanair; and between Fuerteventura and Lanzarote and Paris Orly, operated by Transavia Francia. These routes join the 35 routes already announced a week ago for the summer season. Routes Europe, which this year was held at the German city of Hannover, is Europe’s premier airline connectivity event, as it brings together all the leading international airlines and is where decisions on future flight route plans are taken. As it does every year, the team at Turismo de Canarias was able to get to grips with the air travel industry and remind everyone of the archipelago’s potential, as it presented its tourist offers to managers of airline companies so that they could take the islands into account when putting together their future expansion plans. It is worth highlighting that there is currently a re-scheduling plan of the European airline map being carried out, as rising fuel prices, the economic situation of inbound country markets, the uncertainty fuelled by Brexit negotiations and the opening of new markets has affected connectivity, not only in the Canaries but also at competing holiday destinations. Despite this, the archipelago continues to be a key destination for airlines and this was born out at Routes Europe with the confirmation of these three new routes. It is a fact that airlines are going through a period of streamlining in order to maximise profitability of routes and to optimize capacity, in the face of the fast growth strategies maintained over the previous few years. The collapse of the Germania airline is an example of this correlation of forces, a scenario which has led to the rest of the airlines avoiding taking on the routes, instead allowing them to raise prices and make greater profits from their habitual routes. In this context, distance and destinations such as the Canaries are penalized. Added to this are the higher prices charged by accommodation establishments on the islands compared to those of their competitors in the Mediterranean which, according to operators, is making selling tickets harder. Meanwhile, markets such as Scandanavia are also experiencing the consequences of the growing awareness of damage to the environment, where citizens are concerned about CO2, which is gradually making them refrain from travelling. Turismo de Canarias held over 20 meetings at Routes Europe as part of their intense working agenda, in which a monitoring exercise was carried out on the expansion of airlines, and they even contacted American airline companies who are looking to operate in different European destinations in the medium term, including the Canaries. These meetings also enabled them to continue informing of open tenders on offer at the Flight Development Fund, an incentive programme that has 10 million euros to encourage airlines to join the Canaries with the rest of the world.